Not quite perhaps, but it certainly was a very unforgiving aircraft. It’s perhaps more comparable to the old AC Cobra sports car from the sixties, which didn’t kill everybody who drove it but it certainly killed a higher percentage than most. 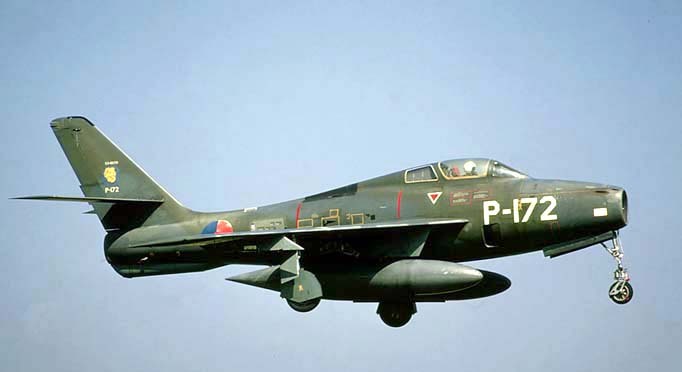 No 77 Squadron RAAF flew Meteors in Korea. Ninety-three Meteor F 8s and six Meteor T 7s. They were used mainly in the ground-attack role, but also accounted for three MIG-15s. Forty-one F 8s and three T 7s returned to Australia aboard HMAS Vengeance, and by 1958 most Meteors had been replaced by CAC Sabres. If I understand correctly, that means that of 99 Meteors, 55 didn’t come back from Korea. I would have thought that, in combat situations, a good few casualties might be ascribable to a general lack of ejector seats during the early years of the war, but, to be honest, I just don’t know if the RAAF had aircraft with ejector seats throughout the conflict. I don’t know either John. No 77 spent 11 years overseas and lost 44 pilots. They weren’t all Meteors. They has Mustangs before the Meteor and Sabres after but I don’t have much more info at hand. REPLY: Don’t worry. The Korean War has become the forgotten war, I’m afraid. Most kids in our school had never heard of it, and as for Suez, well!! Well I remember the Korean War. My understanding is Meteors didn’t fare too well against the MiGs. The Sabres were the plane fighter pilots wanted to fly as a result. Did the annual totals include the Meteor or were they as well as? I never had that Airfix model. As far as I understood it the annual totals do include the Meteor. The people on the Forum were just making the point that there was a lot of death about (almost as if it were flu or measles) so why make such a point of picking on the Meteor? I’m not a mathematician, but I suppose their argument was that non-Meteor deaths were running at an equally shocking rate so why bother about just one aircraft? I don’t think I ever had the Meteor either. I reckon that could well have been a kit with fewer than 20 parts. I think the desire to fly must have outweighed all other considerations. I have seen the argument put forward that because death was so frequent in the Second World War, it continued to be generally accepted during the 1950s that young men would get killed, and in large numbers. Whoa! The factors to blame would be enough to keep me out of that aircraft!! Five years of total war must, inevitably, inure one to the death of young men. It also made life riskier for airline passengers in the post war era. Not only were the aircraft more marginal in their safety factors (you could be aboard a modified Lincoln bomber) but pilots who had grown up (and survived) ops over The Reich’s air defences were more likely to take risks. Every cloud has a silver lining as they say! However my illusions are now shattered! They are horrendous figures especially considering many were in training. I guess teething problems and being the first of its kind, there were bound to be a lot of problems. Converting from piston to jet must have had its own big issues. Although the Meteor obviously had its short comings, I wonder how many were down to pilot error. I’m sorry to shatter your illusions. I had mine thoroughly stamped all over recently when I found out that just after WW1 the government adopted a policy which said that we must spend on defence with the idea that the next war is ten years away. One politician insisted that this became a rolling formula, so that in 1926 the next war was not in 1928 (1918+10) but instead was in 1936. It would save a lot of money but ultimately leave us with very little to fight a war with. The bright idea came from a chap called Winston Churchill, apparently. As regards jets, the constant theme I came across was that jet engines didn’t give you instant power to escape, say, a collision or any other emergency….overshooting the runway for example. By the time the power had come on, you had crashed. 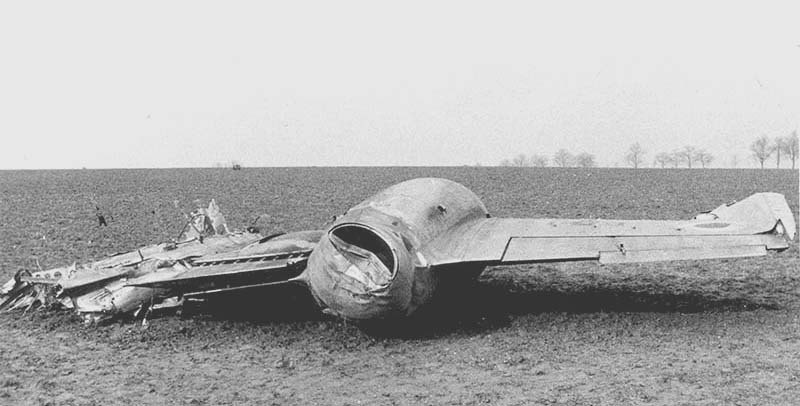 Pilots also found it very difficult to deal with nose wheels rather than tail wheels. Just off the top of my head, I think the RAF had had only Mitchells and Liberators as widely used aircraft with a nose wheel. I think, perhaps with hindsight, it was a bad idea, but as you say, ultimately the policy led to us being a little more prepared than we would have been otherwise. I find it interesting that in the immediate post war years the French were seen as the worst potential enemy and many policies were geared towards that. The dynamics of those years were quite remarkable and very interesting indeed, one I find fascinating if not a little confusing at times. Whilst serving in ATC at RAF Valley in 1953 I heard many a tale of Meteors Diving to the ground to the right soon after take-off. Perhaps this was connected with the controls conflict you mentioned. P.S I have not received even an acknowledgment of my newsy article I sent you about 3 weeks ago – Dr. John A Page (ON 1948-1953). I get a lot of mail but I don’t recall the material you sent me. I would never ignore anything from a person who followed my blog. I have seen quite a number of documentaries on television about the Meteor but none ever mentioned the losses of ‘planes and personnel. I had no idea that there were so many pilots lost. That was absolute carnage. One understands that any new technology involves risks – one thinks also of the disasters in the early decades of the railways – but then it’s easy to be philosophical from the comfort of an armchair. 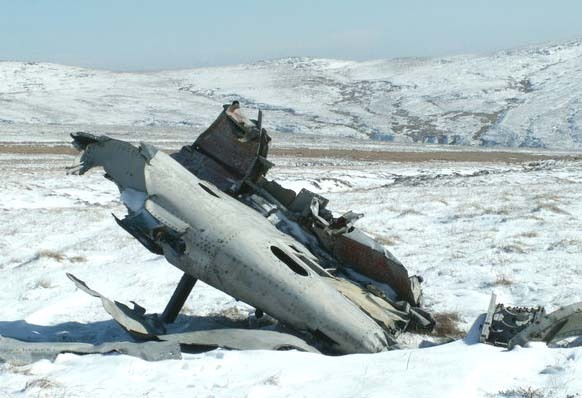 No, I had no idea until I googled “Gloster Meteor”, that the aircraft was so dangerous. I wonder how quickly the training progressed. Were those pilots chivvied along faster than they should have been, perhaps doing dangerous things in the second or third week? Maybe that happened. After all, there were huge concerns about the Red Menace and the Chinese had already declared their intentions by invading South Korea. It is a shame to have all those lives lost. Perhaps a forgotten fact of the jet age so thanks for reminding John. Thanks Lloyd! You are very kind.